The superb HP calculator designs are the result of skill, experimentation and careful evaluation. Usually, we see only the final products of this process but Barry Mathis supplied these photographs so we could see some of the early experiments. Barry worked on the designs of the HP-9100, HP-46/81/9805, HP-56, HP-66/9815 and HP-250. Later he worked on software look and feel including OSF Motif, other Unix user interfaces, and the original hp.com website. He now works at HP in california. HP puts a lot of thought into the color schemes of its machines. Groups of keys are typically designed to be grouped not only by their physical location but also by size, contrast and color. Many mockups are evaluated. 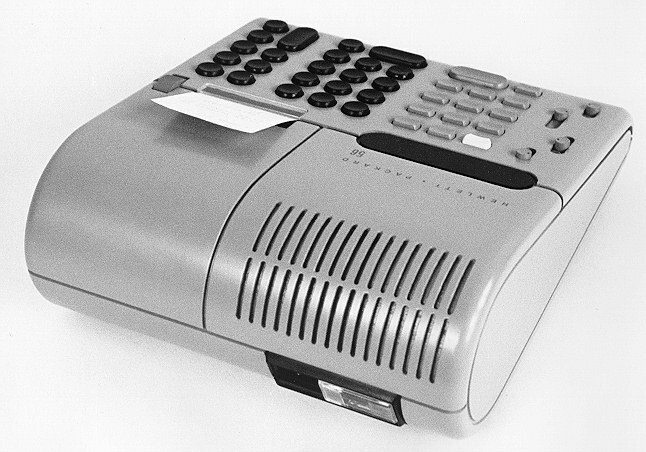 When the HP 9100A design began, HP had a corporate color scheme of a cool "battleship" gray and blue which worked well for their instruments. 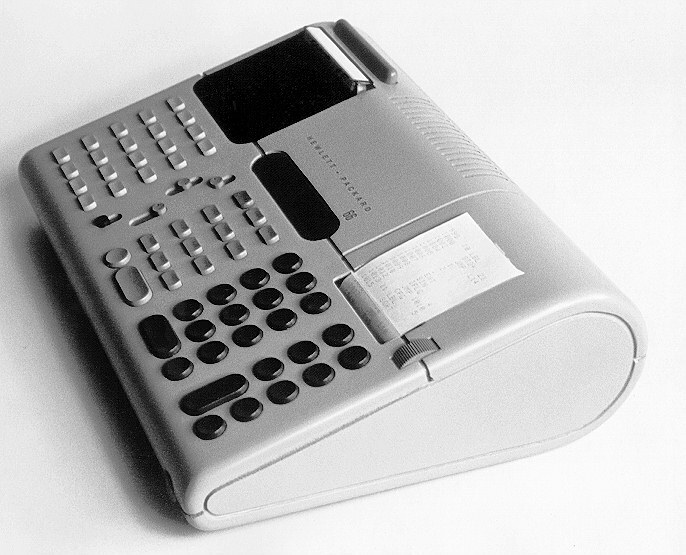 The HP 9100 was originally prototyped in this scheme but the designers thought it looked like a tombstone. The Loveland Division worked with the Corporate Color Lab to design the warmer color scheme used in the 9100 and later desktops. 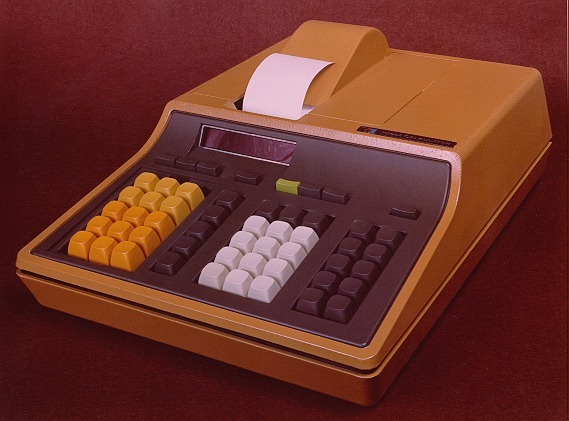 Color schemes on large system-oriented calculators were especially difficult as the calculator was expected to match plotters, printers and other peripherals produced by geographically dispersed divisions. In order to make the process work, colors needed to be named and documented and color chips were supplied to vendors. Results were monitored to ensure that the products didn't "look like quilts". After breaking the Gray/Blue barrier on the HP 9100A, there was more freedom on the HP 9815 resulting in its olive-brown and yellow keyboard. The Loveland team was thought of as mavericks for creating and naming such colors as "Sweet Potato" and "English Muffin" but Barry went a little too far when he named one key color "Specimen Yellow" so the Corporate Color Lab renamed it "Taxi". In the 60's and 70's designs were based on the feelings of the designer and a small group of managers and engineers. Most designs today are heavily user-tested. While this avoids major mistakes, it also tends to result in a middle-of-the-road look. When a variety of colors is user tested, black usually wins not because its everyone's favorite but because few users would reject a calculator for being black. Other colors tend to generate stronger reactions on both sides. The picture below shows one of many color studies for the HP-9805. Had this scheme been chosen, it would have probably also been used for the HP-46 and HP-81. A single platform was designed for the HP 9805, HP-46 and HP-81. They were designed using clay modelling techniques like those used in the automotive industry. The special clay was firm at room temperature and softened when warmed a little. A form that was smaller than the final design was made and covered with the clay. The designer used a variety of clay modeling tools, some of which looked like miniature garden hoes to form the final shape and then painted the model. 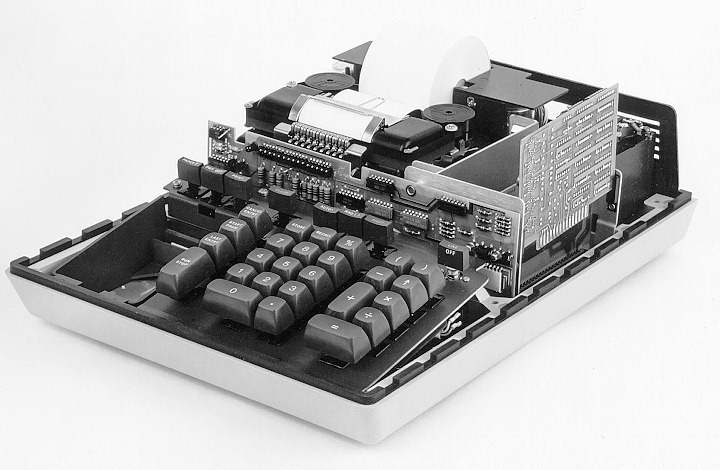 The pictures below show the original HP-46 clay model that was used in promotional shots. Can you tell the difference between the clay model and the final product? A picture of the final product molded in structural foam is provided for comparison. The final two pictures are HP photographs of the final HP-9805. 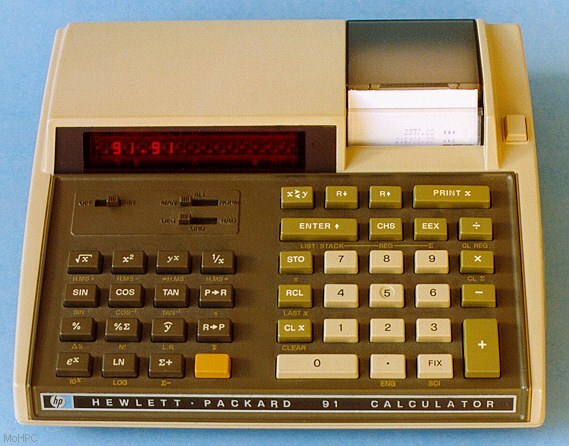 In the 1970s, the Advanced Products Division (APD) in Cupertino California built handheld calculators and several other divisions of HP built computers and peripherals. 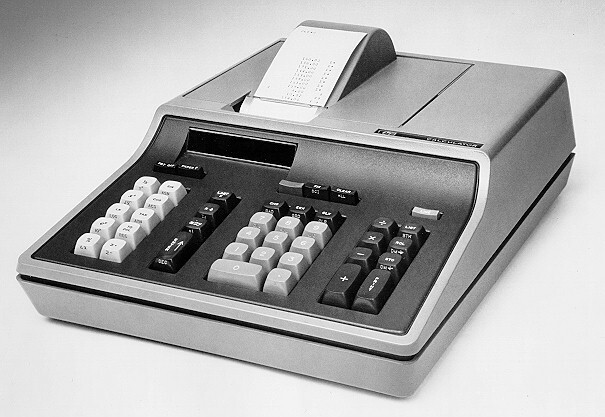 The Loveland Division (Later Calculator Products or CPD) was sandwiched between the two making "calculators with computer-like power". 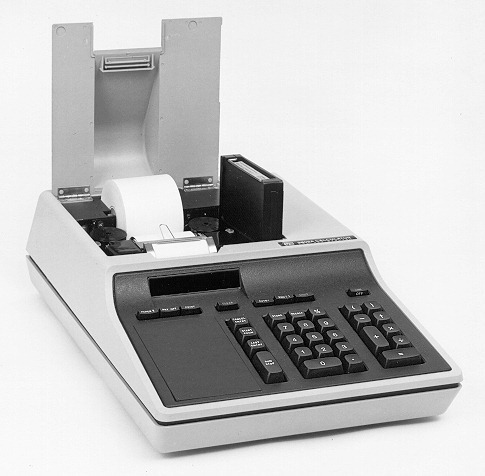 At the high-end there was overlap between CPD's "calculators" which spoke BASIC and the products from the computer divisions. 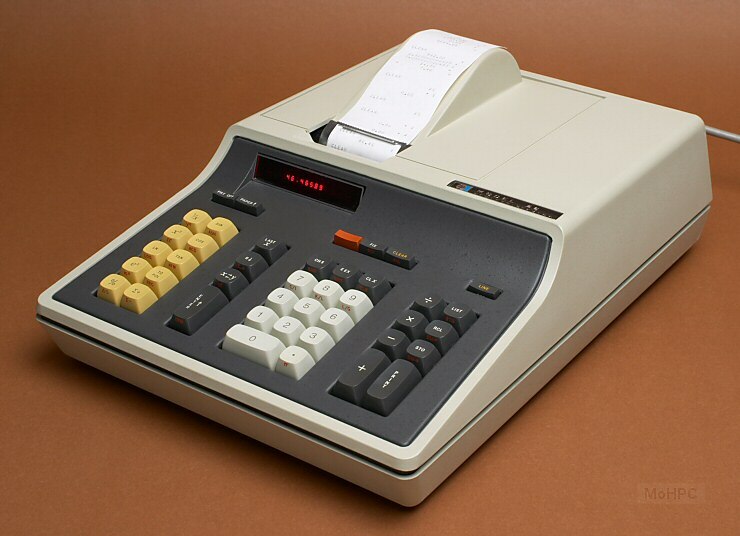 (They were "calculators" because "computers" of the same price often needed several levels of additional management approval to purchase.) There was also overlap on the low-end models like the HP-46 which was functionally, an HP-45 with a printer. 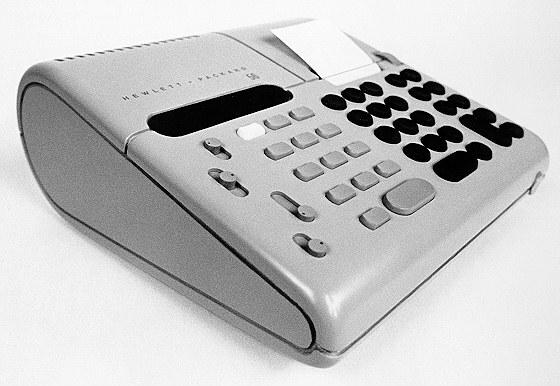 The calculator design process started with numerous paper and Styrofoam designs. 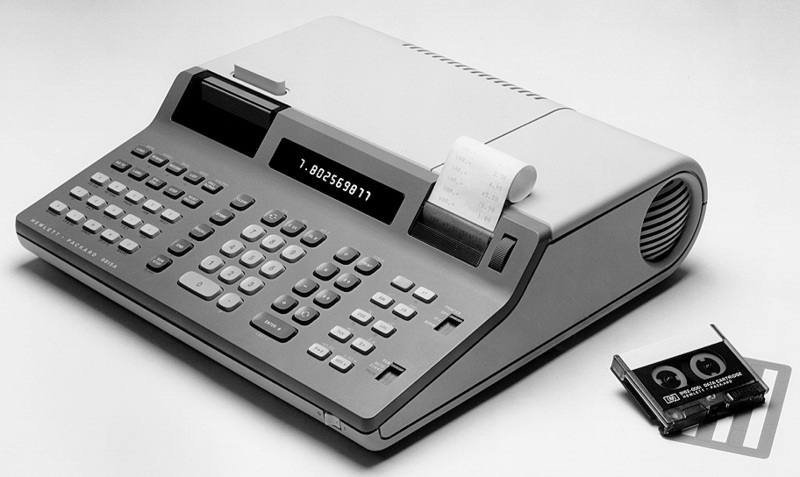 The wooden calculators shown below were close to becoming real products but another charter refinement caused the HP-56 to be transferred to APD and the HP-66 to move further upscale to become the HP 9815. The Loveland team was very happy with the HP-56/66 designs and the lineage from the HP-66 to HP 9815 is clear -- The deepening of the HP 9815 was done reluctantly to add room for additional electronics and the fan. The rounded back was designed around the paper roll, but the fan was so smoothly integrated that it looked like it always belonged there. Oddly, Loveland had adopted APD-style snap keys for the HP-56 and 66 but APD went to a longer travel non-snapping design for its desktop machines. The snap keys were retained in the HP 9815 and provided excellent feel. The keys were designed using a super ellipse formula which allowed the designer to control their shape (both top-view and indentation) by changing the numerical parameters given to the mold cutter. This early use of numerical design greatly predated the use of CAD tools. 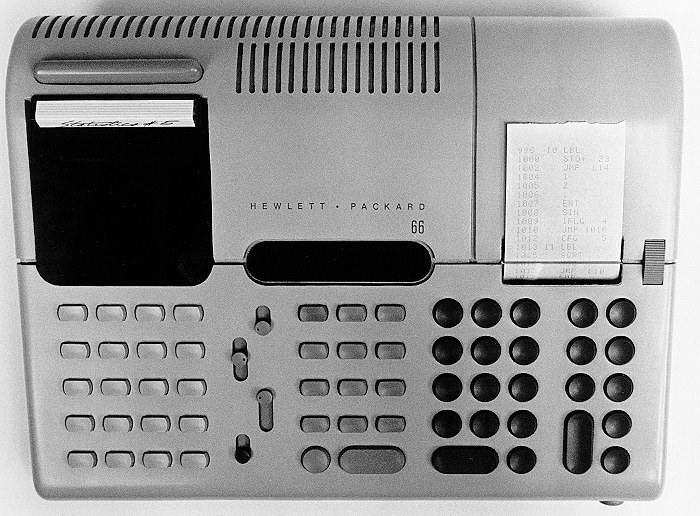 The HP-66 was upscaled to become the HP 9815. The tape cartridge used in the HP-66/9815 was designed and developed by HP and manufactured by 3M. This beautiful model was crafted from wood in the same fashion of the HP-56. Notice the simulated plastic seams and the detail in the paper advance, ventilation slots and slide switch indicator dots. The printout shown on the model is probably not an accurate representation of the HP-66 programming language.